I want to create Quotation and Proforma Invoice. I would like to know how to I enter Bank Information to my invoice? Option 1. You may place it in "Note" field. Just set your bank information in Setting/Document column Default Note. When you generate Invoice, the default note will be included to your Invoice. Enter your default bank information in Setting/Document Setting/Invoice Note. 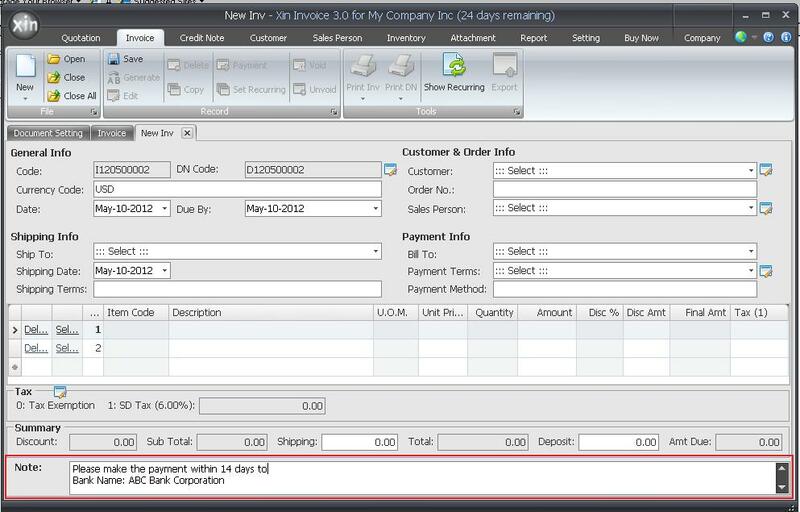 When you create your new invoice, the default Invoice Note will be auto populated to your invoice. Option 2. Create your own template and write your bank information into the template. Please visit http://www.xininvoice.com/invoice-software-customize-invoice-template.html to view our demo on how to create your own template. Option 3. 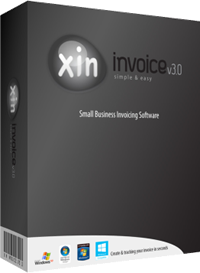 Use Xin Inventory 1.0 instead of Xin Invoice 3.0. 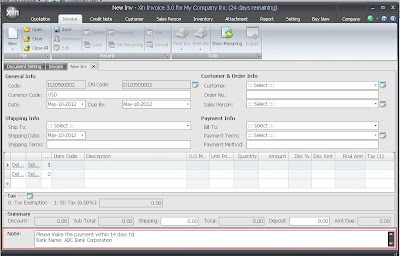 Xin Inventory inclusives of all features from Xin Invoice 3.0, plus additional features such as Purchase Order, Stock Management, Cuztomizable input form, Price Level, Taxation Formula and many more. Please download the 30 days free trial from http://www.xininventory.com/ . Create your bank information column by customize your own input field.